Kanawha Valley Arena Resort is the ideal Blue Ridge Mountain Wedding Destination. Our private 130 acre farm with The Still House Manor and our large modern Barn Venue is the perfect location for your Wedding. This water front property offers plenty of room to host an indoor or an outdoor Wedding. In one beautiful location you can have the Rehearsal Dinner, the Wedding Ceremony, the Wedding Reception and Lodging Accommodations. Our Carriage House Saloon on our main property is also available if you prefer a Western setting for your events. You can also rent one of our Antique Carriages to be part of your Wedding Events. There are over 40 Carriages to choose from to fit your Wedding Theme. 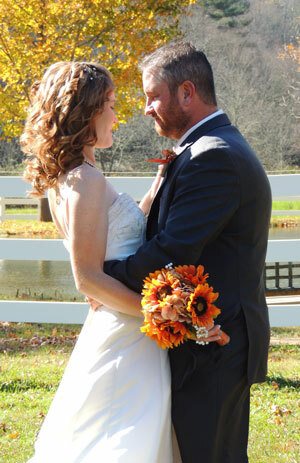 We offer several Wedding Packages at less than half the price of the average U.S. Wedding or you can customize your Wedding Events from our Ala Carte Menu of Wedding Services. Our staff will work with you to make your Wedding Dreams come true. This makes the Wedding Planning simple and enjoyable. Whether you are planning a large or small Wedding, our Resort is the perfect Wedding Destination to have a beautiful Mountain Wedding. 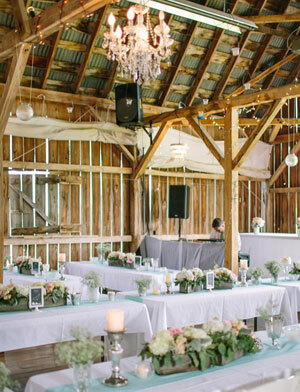 We have the all the Venues you need in one location and can coordinate all the services you need. You will be proud to host your family and friends at this incredible location to celebrate your special day and to create some life long memories. be sure to attend one of the major Motorsport Events at Kanawha Valley Arena Resort, which is the “choice” Motorsport Destination in the Blue Ridge Mountains. In one convenient location, we have a Professional Lighted Arena complete with sound & seating and a Professional Lighted Mud Pit, an onsite new Hotel, an onsite modern Campground with Bath House and our onsite Carriage House Saloon serving great food and your favorite beverages. We have two modern arenas for hosting the events, great onsite lodging at our new Hotel, a modern Campground that can accommodate anything from a tent to a 53 foot RV and good affordable food & beverages at the Arena Concession Stand and at the Carriage House Saloon. We even have a private 130 acre farm right down the road with a large Vacation Home and a really nice Stables Cottage for those needing group lodging. Use our Resort as your home base for your Blue Ridge Mountain Motorsport Vacation. Our new hotel is right next to both of our arenas and our modern Campground is just across the road. If you are staying at our new Hotel, you can sit back on the covered porch and overlook the Event. Whether you need a hotel room, a primitive campsite, a campsite with full hook ups, a private Vacation Home or a private Cottage, we have you covered. you are coming to a Motorsports Event at Kanawha Valley Arena Resort, be sure to stop in for a great meal at The Carriage House Saloon, an ole time western saloon. When you walk through our swinging doors, you will enjoy the friendly welcome and comfortable décor. Here you will find good food at a fair price. Here you will find many of your favorite beverages.